I suspect that is news to most of you. That’s ok, pancreases are not as inspiring or thought provoking as breasts or other diseases. And even within the community of diabetics, Diabetes is a very misunderstood disease. There is a huge difference between a Type I and a Type II; how the disease is treated; the perception of each Type; the myths and facts of each Type and so on. So it is no wonder that today is not widely known. I could write a long diatribe about public awareness and the frustrations of why some chronic diseases fight for any public awareness and others are right in front of you (see what I did there? lol), but that is not what I want to talk about today. I will mention that at the core most people want to get behind a cause that gives rise to hope and while most disease causes are awful to contemplate most (cancers included) have stories that provide hope and inspiration. Even in our personal life facing the cancer fight was hard and long and terrible but My Sweet is cancer free today! That is a message of hope! But she still has diabetes. You know the sugars, the diabEtus. Having diabetes, whether Type I or II, is a 24 hour – 365 day – for-the-rest-of-my-life disease. That does not lend itself to hope or does it? I do not like it that I became a Type III (a person who cares for a Person With Diabetes). I do not like it, that we fight lows, and count carbs and do math at every meal. BUT if I had not become a Type III I probably would not have ever been introduced to some of the most HOPE giving and encouraging people in the world! Think about it….These dear people face a chronic, daily disease with grace and fortitude. We laugh and cry and just do life together. And these dear friends remind me to quit complaining about insignificant issues in my own life. They deal with life and death issues daily! My issues are small and insignificant. No, I don’t like it that I have personal knowledge about World Diabetes Day, but I am very THANKFUL and HOPEFUL to know these PWD’s. They make me a better person. So thank you to my friend’s in the Diabetic Online Community! The DOC has changed our lives for the better! Today is World Diabetes Day. Celebrate the people, celebrate the resilience. CRUSH this disease. I am finding it difficult to write about my African experiences. The multiple images and experiences are almost too overwhelming. Recently, while working on a US project the difference and similarities between the projects were drawn into focus. I had tried to write previously about my visit to the Salima District Hospital. Even now, a month later I am still very upset by the images and memories from that visit. Visions of multiple people in one bed, family on the floors, no screens on windows, body parts waiting for disposal, facilites in disrepair, charts showing maternal and infant deaths, numbers of babies born with malaria, are still fresh in my mind. Infants typically are not named until 6 months of age, they are not considered human beings until then because the mortaility rate is too high, it takes too much energy and resources to constantly have public funerals for these precious babies. A staggering 40% of children born here do not reach their 5th birthday. 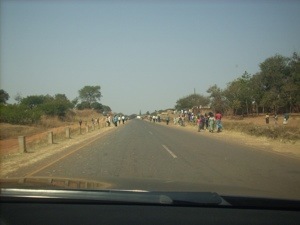 These conditions, while horrible by our standards are quite good in the countryside in Malawi. People walk for days to get to this hospital. 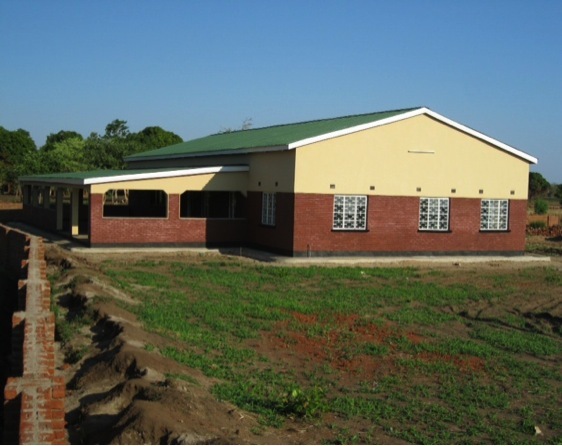 The new birthing center and hospital that we are beginning to construct has the potential to reduce the infant and maternal mortality rate by at least 50%! We are literally saving lives. Contrast this to the projects currently underway in the States; State of the art centers and hospitals with the best care, and outcomes. BUT we assume that quality care is a given. We rarely, on the facility side, discuss mortality rates. While what we do as healthcare facility engineers relates directly to quality patient care, infection rates, patient satisfaction, etc., it is so transparent in the States, or at least is supposed to be that the patient rarely gives a second thought about all the work done on their behalf by the staff regarding life safety. What we do discuss on a daily basis is cost. Cost of construction, cost of systems, ROI’s, etc. Now, a caveat, my political leanings are pretty simple, I am a capitalist. I have an entrepreneurial heart and mindset and while I am a gadget guy, I want those new gadgets we install to be cost effective, operationally sound, and fiscally profitable. To be very pragmatic, our focus in the States is financial, while in Africa our focus is lives. I spend most of my time in the States dealing with issues that relate to the bottom line of the project or facility. I was very surprised that one of the outcomes of my trips to Africa was the realization that lives are also the focus of what we do in the States, it just gets covered up by all the other first world issues. It has been an excellent reminder that in healthcare we save lives and improve the quality of life for our patients no matter what continent we are on! Proud to be of service. I had tried to post this several weeks ago from Malawi, but did not realize it did not post…hereitis belatedly. We made it to Lilongwe, Malawi about 23:00 local time. After clearing customs we found our driver who took us our hotel. We discovered that the lines down the middle of the road are really a loose suggestion. It was quite a ride! After a solid nights sleep we retrieved our rental car and I acclimated myself to the middle of road, as well as driving on the left. We toured the city for a bit, more for me to get used to driving on the left than anything else. After I did a round-a-bout clockwise rather than counter-clockwise, I felt I had it under control. We went back to the hotel for directions to Salima and to get some local currency. The day was bright and beautiful, it is winter here and the morning tempatures were in the low 50’s but as the day progressed we were grateful for the AC in the car. The road was pretty good. I was amazed at the amount of foot traffic. There was not a stretch of the two lane road where people were on bikes and walking. We made it to Salima after a few hours and found the clinic and our hotel. The clinic is a beautiful building and as soon as we pulled up, kids from the nearby orphanage started asking “what’s your name?”. It will be good to interact with the this week. We got checked in, had a late lunch and explored the compound. We are staying at a hotel on Lake Malawi. I can literally walk out my back door and be by the lake. We met up with Brad and his family at dinner and will head to the clinic in the morning, to develop a game plan for the rest of the week, including trying to get power to the well. I will get more pictures tomorrow when I am not trying to navigate, drive and see everything at the same time! The last time I wrote we had just thrown our Wiggin Out Party where we had folks shave their heads and Barb had her head shaved before all her hair fell out from Chemo. That was a year ago! Most of you know our story but let me recap:. Barb is doing well. She still is in recovery mode and gets a little frustrated at times that it is not faster, but really is doing well. She is a Warrior and I am very proud of her. She has not only weathered this storm but has sailed through these hard waters with Joy and Compassion for others. She is remarkably strong and quick to credit the true source of her resolve and strength, her faith in God. Just a few short months ago I was also presented with an opportunity that I felt drawn too as the correct course of action for us. I applied for a vacancy on our City Council. After several months of interviews and vetting I was appointed to our Council. A week before I was to be sworn into office, several things occurred that clearly indicated to me that this was NOT something I should pursue, Barb’s continued health recovery and additional work responsibilities were just a few of those factors. Now to the real reason to begin writing again: In July I will be heading to Malawi to help support One5 Foundation and Global Health Innovations build a Birthing Center in Salima, Malawi. Below are the building plans developed with our dear friends at bensonwedd. Building A has already been completed and the next efforts will focus on Building ‘B’ with construction starting in August 2012, building ‘C’ will start in 2013. 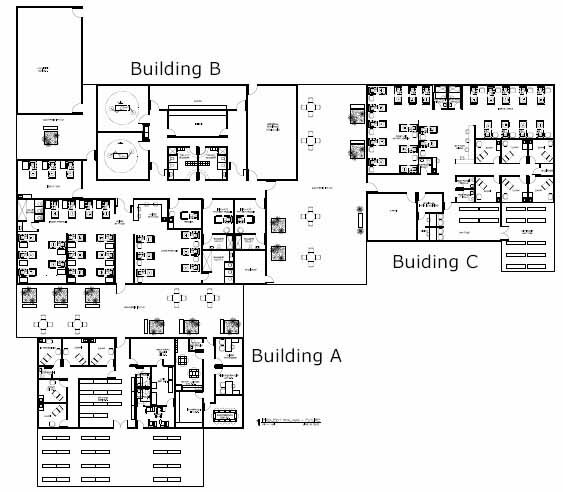 Building B contains 2 OR’s and clinical space to support those OR’s. I am thrilled to be a part of this journey and proud of our company for pursuing this dream.